This is a takeoff from the Pillsbury Orange-sicle Cake Mix. I have made it a dozen times and it never lasts long. One package of Pillsbury Orange-sicle Cake Mix. Mix everything together and beat for about two to three minutes. Pour into a pan and bake for 60 minutes until the center is baked. May need another five minutes depending on your oven. You can frost this with orange frosting but I prefer it plain. This is almost the same recipe that is on the back of the Pillsbury box but I use this as a flavored bread instead of a cake. I like having different kinds of bread especially when I serve a salad for lunch. 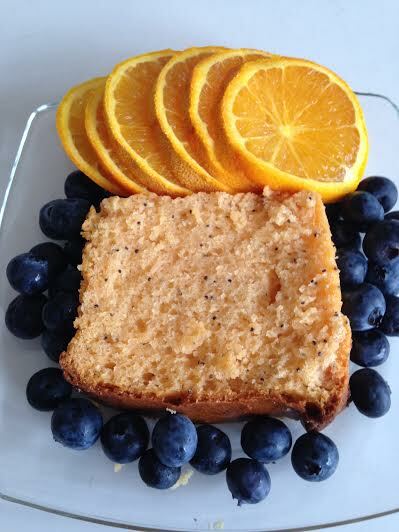 I serve lemon, pumpkin, carrot pineapple, zucchini and now orange poppy seed.